It’s been a few years since we’ve climbed Ojos del Salado and we’re itching to go back. 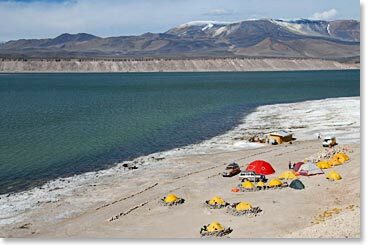 Return with us to the remote reaches of the Atacama Desert for an adventure like no other. The landscape here is incredibly vast. Red sandy peaks and expansive saltas (salt flats) appear as though they belong on the surface of Mars not on Earth. If it weren’t for the beautiful emerald-colored lakes and flocks of flamingos, the photographs of the region might pass as those taken by the Mars Rover. 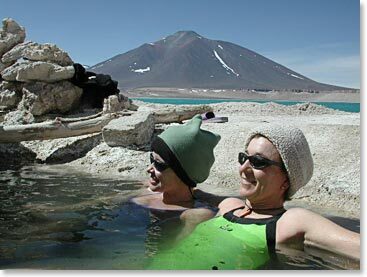 There are no paved roads to Ojos, so we explore by 4×4 vehicle to acclimatize and to reach many of our campsites. Rather than spending our time hiking from camp to camp, we get to drive to our camps giving us more time to explore the lakes, hot springs and peaks that surround us. The high plateau of the Atacama can be deceptively warm and sunny, but the thin air will remind you with each breath that you are indeed at altitude. 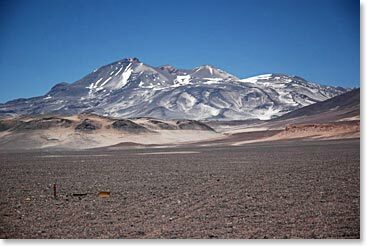 As the second highest mountain outside of the Himalayas (and also the second highest mountain in South America), Ojos del Salado is a physical challenge that will test the body’s ability to acclimatize. We increase our altitude slowly and follow the philosophy of “Climb high, sleep low,” which will give our bodies the best opportunities to adjust to the altitude. Knock off the two highest summits in South America by adding Aconcagua to your adventure itinerary. 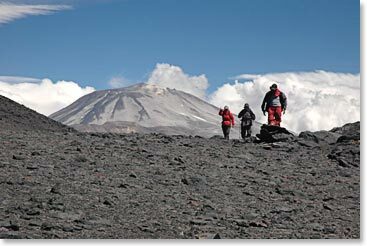 Since your body will be acclimatized following your Ojos expedition, you will be ready to climb Aconcagua at a much faster pace than our normal Aconcagua expedition team. For details on an Aconcagua extension, contact our office. 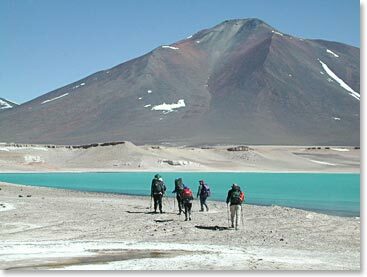 Sign-up today for your high-altitude Chilean adventure – Ojos del Salado!